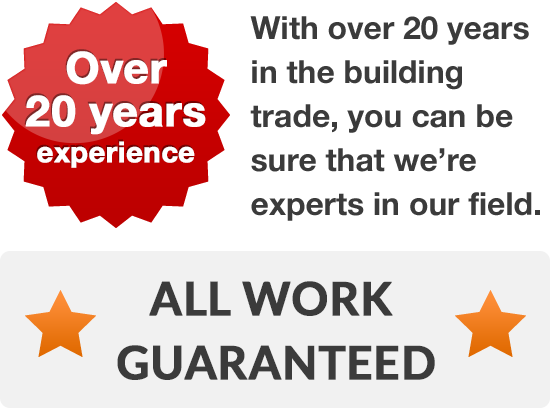 Looking to find genuine, quality Leeds based builders? If you need a firm of Leeds builders to convert your loft into bedrooms, we can help. If you want to add an extension over your garage or turn your garage into a living room, we can help and if you want a run down old farmhouse renovating, of course, we can help. 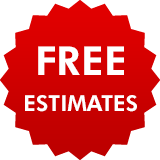 Call, and we'll give you a free estimate. We've been adding real value to the area's homes and businesses since 1996 and now boast a range of building services that, we hope, is the envy of many other builders in the area. ..and a great deal more, all at very affordable prices. We hope that, once we’ve met, you’ll think we’re the right company after your search for 'Leeds builders'. But impressing you when we meet is just the start; we work hard to make sure that we quickly become your supplier of choice. Our prices are keen and we’ll happily hold your hand from start to finish, guiding you through the build process step by step until your work has been completed just as you want it. Finally, and to give you complete peace of mind, we are a member of the Federation of Master Builders means we are able to offer you a warranty to cover all the building work we’ve done. 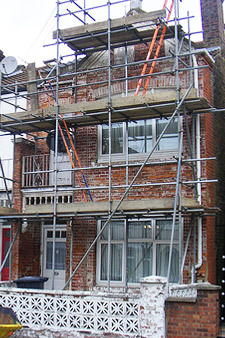 Whatever you’re looking to build call us on 0113 370 8931.